Die Weltfunkkonferenz 2015 der Internationalen Telekommunikationsunion (ITU) hat für den Amateurfunkdienst eine sekundäre Zuweisung im Frequenzbereich 5351,5 – 5366,5 kHz beschlossen. 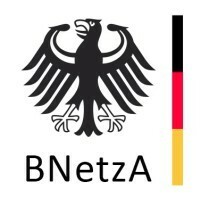 Im Hinblick auf die insoweit erforderlichen Anpassungen der Frequenzverordnung und der Anlage 1 der Amateurfunkverordnung (AFuV), mit denen die Nutzung des vorgenannten Frequenzbereichs im Sinne des § 5 Abs. 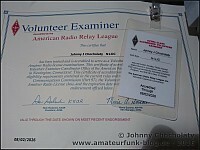 3 des Amateurfunkgesetzes (AFuG) und des § 9 Abs. 2 der AFuV mittelfristig gestattet werden soll, wird hiermit im Einvernehmen mit dem Bundesministerium für Verkehr und digitale Infrastruktur (BMVI) und dem Bundesministerium der Verteidigung (BMVg) die Nutzung des Frequenzbereichs 5351,5 – 5366,5 kHz im Amateurfunk im Vorgriff auf die vorgenannten Anpassungen ab sofort geduldet. Die geduldeten Nutzungen müssen dabei den nachfolgenden Nutzungsbestimmungen entsprechen. Mit dem Inkrafttreten der Anpassung der AFuV an den obigen Beschluss der Weltfunkkonferenz 2015 wird diese Regelung gegenstandslos. 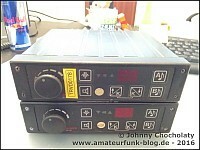 Some days ago I received a parcel from my friend Silvio, DM9KS. 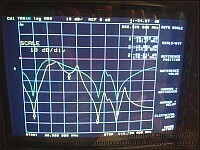 There was a 20m QRP band-pass filter from QRP Labs inside. I then built the kit as it was there anyway. I did not wind the torroids very accurate, but I have an insertion loss of 2.1 db only on 20m and I have -53db attenuation on 40m and -32db on 15m. I would say great piece of kit! Silvio also told me, that some guys use their Raspberry Pis as a 10mW WSPR beacon. So I connected the filter to my Pi to see what happens. In diesem Beitrag geht es um den Umbau von Ascom SE540 BOS-Funkgeräten. Es war Michael, DB7MM der mich auf die Idee gebracht hat, 2m BOS Funkgeräte von Ascom so zu umzubauen, dass sich diese für den Amateurfunk einsetzen lassen. Er selbst hat das schon einige Male gemacht und gab mir daher eine „vorsichtige“ Empfehlung. Ich habe dann bei eBay ein Angebot gefunden. Ein Händler wollte inkl. Versand nur 30 Euro pro Gerät haben. Ich bestellte also gleich 2 und baute sie dieses Wochenende um. Das Ascom SE540 ist ein Behördenfunkgerät und dementsprechend massiv ausgelegt. Die Verarbeitung und Haptik ist ausgezeichnet. Man bekommt mit dem SE540 ein sehr wartungsfreundliches Gerät, das eine gute Dämpfung von Außerbandsignalen hat. Some weeks ago I bought a new -ultra flexible- Nagoya NA-24 antenna for my Baofeng UV-82L. When I used the Nagoya antenna for the very first time I received almost nothing. I first thought that I (again) bought a counterfeit Nagoya antenna and put this one in the drawer. Just yesterday I found it again and became a bit annoyed as I wasted another 20 bucks here. I decided to open the NA-24 with a pair of two big pliers. The black cover had an internal thread and was fixed with some superglue. With some force I was able to disassemble the whole connector and could inspect all the antenna parts. I found out that the flexible radiator was not soldered on the socket of the antenna so it had no electrical connection to my Baofeng radio. I soldered the radiator to the antenna socket and put everything back together again. I tested the NA-24 antenna on the local repeater while I walked on the streets in the city. It worked flawless. Some days ago I decided to install an APRS RX-only iGate here in my apartment. The iGate simply takes the APRS signals from the air and forward them to the internet. I live almost in the center of the city and I have a free sight over the buildings. Good preconditions for a „fill-in“ iGate I thought. I had a Raspberry Pi and a cheap RTL-SDR dongle (DVB-T stick) for this purpose. Sounded like an easy job first but I received nothing within the next 12 hours. I knew that something must be wrong. In this project I learned more on designing HF-filter than on Linux and Raspbian, what actually was my aim at the beginning of this project. In this blog post I will show you, how I successfully dealt with massive QRM from two 100kw and 2 50kw radio transmitters.